Otter met the bengal cat for the first time, but when I saw his reaction… I have no words for THIS. 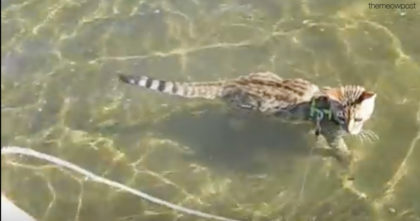 When Sam the Bengal cat met Pip the Otter, nobody knew the results of their first introduction, but after getting used to each other the reactions from both of them will leave you speechless, this friendship is truly remarkable! 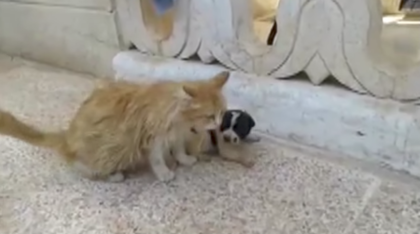 You’ve probably seen cats making friends with various interesting animals, but I bet you’ve never seen an otter laying, playing games, snuggling and even eating together – This story proves that love has no bounds, It’s just AMAZING. I’ve never seen anything like this in my life WHOA… Just watch the video below! 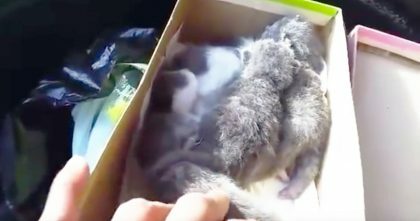 Guy Saves Kittens Suffocating In Box, Nearly Dead, But Just In Time… HOW Could Anyone Do This?! 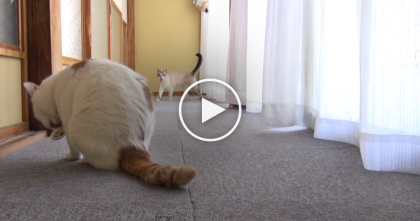 They took their cat for a walk, but they never expected THIS… Now watch what the cat does!! 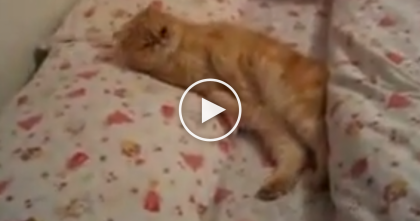 She Tells Kitty It’s Time For Bed, But Keep Watching… This Kitty Knows JUST What To Do, LOL! !